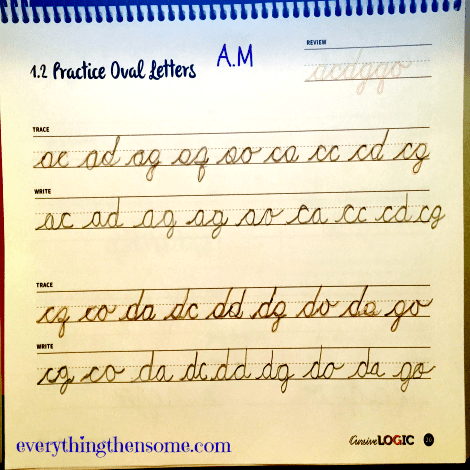 I remember when I was going to school, around the 2nd or 3rd grade we started to learn how to write in cursive. We had to practice everyday we came in. It got exhausting and my hand was sore by the end of the week. Now that A.M is going to school they seem to teach it for a week and then they are done. Schools are mostly concerned with teaching the keyboard. 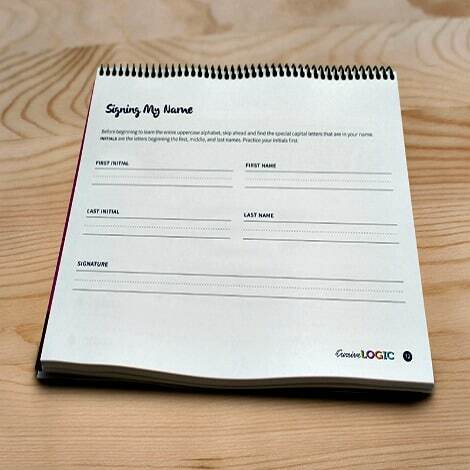 In the real world, resumé and applications are still filled out by hand, so they still need to learn it. I was thrilled when I was asked to review CursiveLogic. 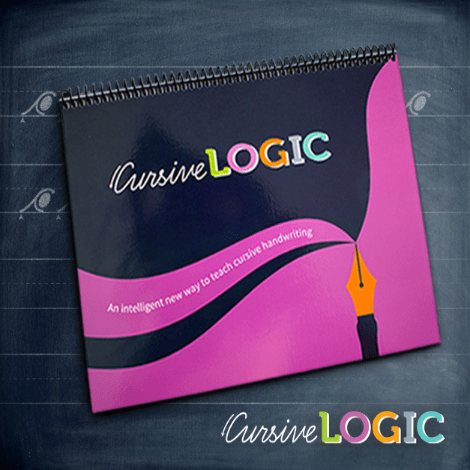 We received their spiral bound CursiveLogic Workbook, so I can teach them at home. Well I decided to just do it with A.M because Cam knows how to write in cursive pretty well. First, there was a lesson and then came the practice. You can see some of the practice pages below. About 3 days a week we would work on it. Every time we would read the lesson and then do a page, then the next time we would re-read the lesson page so he didn’t forget what he was supposed to do, and then finish the next page, then so on and so on. As you can see. he did pretty well getting started. These last 2 pages I liked, for the first one, because it has them practice the 2 most important information like their name and then their signature. The second page I liked because it has them practice real words like the states. 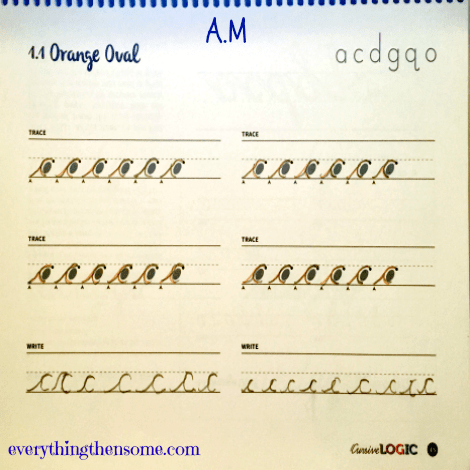 Real words: Because CursiveLogic teaches a group of letters in a single lesson, students can write real words at the end of the first lesson. For some students, this immediate success is a huge motivator.